Yours truly, on Fine Games' busiest day ever. Like the Phoenix, our Update Newsletter rises again. We've given it a new look, and packed it with all the lively information one newsletter can hold. We hope you enjoy reading it, and do invite your feedback as well as your ideas for future newsletters. This newsletter is organized into three sections: (1) Game Industry News, (2) Notable New Games, and (3) News at Fine Games, including the obligatory Newsletter Special Offers (see left column). Links on the left will take you to the section or the specific topics that catch your fancy. Going forward into the uncertain future, Fine Games asks for your help. We want your business, of course. So what would help us greatly is your advice as to how best to earn your business, or more of it. Times have changes in the 16 years we've been in business, and we need your honest guidance to keep our business going strong in the face of economic turbulence. See below for more on what we'd like to hear. If this page doesn't look quite right as an email, we apologize; please view this newsletter as a web page from our web site. Over the years, we've assessed the state of the strategy gaming and more specifically the wargaming industry, the state of the game distribution system, and our own status here at Fine Games. Its time for a 2008 update. The wargames that do see print these days are almost uniformly well-produced, providing a rich gaming experience. In particular, games by GMT, the Gamer's line of Multi-Man, Compass, Clash of Arms provide a consistently high quality of rules, historical accuracy, and play experience. And even publishers such as Z-Man and Days of Wonder, are offering games that are colorful, inviting, if rudimentary, wargames suitable to entice a new generation into the hobby. In this sense, its the best of times. Yet the foundations of the industry continue to erode. Let's start with the publishers, of which there are many for games generally, but very few wargame publishers. Of the latter, some that had previously been dominant in their niche (e.g. Australian Design Group's World in Flames, GRD's Europa series) have produced little if anything in recent years, letting their corner of the market drift away. Others, notably the Advanced Squad Leader (ASL) publishers such as Critical Hit & Multi-Man, have published at an uneven pace, and at a slower pace than in prior years. The Euro-game wave has subsided, leaving in its wake a solid market for quick-playing, abstract board games. Devotees of these games may never play a wargame, tho there is considerable crossover. Trouble is, Euro-games are like comic books to the distribution system: they encourage a mind set of the quick sell and no shelf life. Wargames suffer as distributors adopt business practices geared toward frequent turnover of game titles—the opposite of what good wargames deserve. Distributors have suffered most from the sharp rise in transportation costs (see 1.3 below). Because they ship many relatively small but heavy shipments, their costs have risen about twice the rate of inflation for several years now, and its hurt. Most of our secondary tier distributors have both reduced the discount they offer to us on games we purchase, and have tried to pass along to retailers a portion of the cost of shipping. That, in turn, reduces the profitability of selling games. Both distributors & retailers are hurting this spring as the Dungeon & Dragons role playing system is due for a 4th edition facelift. Thus, sales of what remains the single largest category of game product are said to be "dead" this spring. Sketchy info I've read suggests that retail game stores continue to fade away for a wide variety of reasons. Online retailers do not seem to have experienced the same attrition -- yet. But as we enter the tail end of an economic cycle, watch out. There is only so much money going around. And games are, in the end, a luxury good. Lastly, we'll note the change in two key cost dynamics that affect online dealers such as Fine Games. One is that it has become more economical to ship (domestically) via USPS priority mail for weights of 3-5 pounds. That was rarely the case in the past. In other words, UPS ground rates now exceed those of our postal service for the most common package weights. Second, as the costs of fuel and thus transportation have risen, the cost of shipping often exceeds the sales tax that you'd pay if you bought locally. That is a major change now undermining online dealers such as Fine Games. All in all, not quite the worst of times. But close. Not seeing a light at the end of the tunnel makes it seem worse than it may be. Earlier in the decade, game publishers saw great value to having their games manufactured in China -- and to make their products beefy. Thus, the weight of the average game nearly doubled since 2000. That is coming back to bite us now, as transportation costs -- fuel -- are rising most rapidly. It now costs $10 to move a single 4 lb. game across the country now. Because the dollar is "weak" against the Euro, European manufacturers have been forced to increase their prices substantially merely to maintain their base level of profit. So, Osprey has increased the price of its books by about 8% in January. Days of Wonder announced an increase on some of its games that often amounts to 14-20% change. But the worst may be yet to come as the Chinese economy reaches more of its limits, and the easy pickings of prior years evaporate in an instant. Early reports have already surfaced of low end manufacturers -- that would be board game products -- leaving China. Stay tuned. Fine Games increased its standard shipping charge by $0.50 to $12.50 in January. We had last increased it in May 2007 coinciding with the significant postal rate increase at the time. UPS increased its average price for domestic ground shipping by 4.9% for 2008, PLUS they increased common fees too. On top of this, they currently impose a "fuel surcharge" of 6.25% for ground, and 18.5% (!) for air. The impact of UPS's price hikes over several years is that UPS is for the first time more costly for shipping packages in the 3-5 pound range. 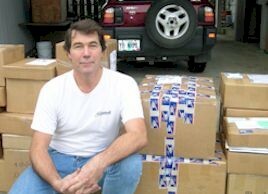 While we mentioned it in prior Quickie Updates, the May 2007 postal rate increase was a shocker that has taken a bite out of our business. It eliminated"surface" mail entirely, which was the economical alternative. And "air" was replaced with "Priority" mail at a price 7% higher. Ouch! The US Supreme Court overturned in June a key interpretation of the Sherman Antitrust Act that had stood for 96 years. Manufacturers can now set and enforce minimum selling prices among its distributors and retailers. That may most affect the computer products you buy, but it already directly affects some of the games we sell, too. As an example, Mayfair Games (makers of Settlers of Catan, the Empire Builder train games & many others) imposed such restrictions on distributors & retailers shortly before last Christmas. They required retailers to apply to become "authorized retailers" by agreeing to certain conditions. Violation at either distribution level meant being summarily cut-off. For dealers, the chief conditions were (1) to sell at no less than 80% of list price, (2) not to resell to other dealers, and (3) that distributors sell only to authorized retailers. If you were watching, you notice Fine Games' prices on Mayfair games shot up about 10% across the board in December. Now you know why. Extrapolate that to other publishers with a significant stable of games and there is trouble brewing for those who rely on discounting to distinguish themselves in the marketplace. Avalanche Press published a game called Queen of the Celts last November. They did so in two formats: one a rather uninspired "retail" box cover showing a sword & a shield ($29), the other an historically accurate & colorful one of Boudicca, queen of a Welsh tribe & a central figure in Britain's rebellion against Rome, piloting a war chariot ($35). But the dress codes of the times were such that Boudicca did not cover her breasts prompted Avalanche to publish the more demur, and far less compelling box cover. As Lys Fulda, VP at Avalanche wrote us, "We were told at [the Game Manufacturers Association convention last year] that the [pinup] box was almost unsellable that way." Apparently, history must be rewritten to accommodate contemporary modesty. Oh, and those breasts are "American breasts"—something not at all historically accurate! If you've avoided DTP games because of the hassle of mounting counters, it takes less than an hour to prepare counters for play. Why not give it a try should you find a game that interests you? A number of rather creative game publishers have taken the simple road to getting more of their games into print. Since the cost of professional printing is the main obstacle to producing a game, designers such as Richard Berg (BSO Games), Perry Moore (of both Perry Moore Games & Firefight Games), Kerry Anderson (Microgame Design Group, now defunct), Peter Schutze (Schutze Games) and several others, have produced a wide range of games on diverse subjects. Producing these on a color ink jet or laser printer, and in small numbers on an as-needed basis, keeps their costs low and the risk to the publisher minimal. And so we are able to see some good games on truly unique subjects such as the final defeat of Carthage (Zama), the 1940 invasion of Egypt (Blackshirts), the what-if Japan had invaded Hawaii after Pearl Harbor (Eastern Operations), the battle for the Aleutian Islands (Aleutians Campaign), etc. Problem is, you must mount & separate the counters; they don't come die cut. Richard Berg recommends using a spray adhesive (available at office supply & photography stores) to spray the back of the counter sheet, then mounting it onto poster board of a thickness which you can cut given the tools available. If the poster board is slightly larger than the counter sheet, then it doesn't have to be perfectly aligned. He suggest then putting the mounted sheet under a book or other flat weight for a short time. Myself, I've used rubber cement with good success. The trick to this is to apply a thin, even coat to one surface (not both), and to let it partially dry until tacky before mounting. Then, use a dull but solid edge (such as a plastic ruler) to gently flatten the counter onto the poster board. Finally, cut apart with a hi quality, sharp pair of scissors. Viola! In either method, avoid getting any moisture on the front of the counters, which may smear ink jet printing. After a 7 year wait, a very slick computer version of Empires in Arms is finally available and in on hand now ($67 at Fine Games). This game was first published by Australian Design Group in 1983, and was soon recognized as a classic wargame of the Napoleonic Wars thru out Europe. Avalon Hill republished it three years later. Now, ADG and Matrix Software published the PC version of the game on CD-ROM for Windows. This game follows the board games fairly closely, tho the designers have taken some liberties by integrating popular variations. It comes with a colorful, well written & well-documented manual containing many tables that, unfortunately, you may need to photocopy for reference. The game is strictly Play-by-Email or in-person; there is no over-the-internet mechanism. Still, the game contains artificial intelligence, and can be played solitaire or with up to 7 players. If you enjoyed the board game and have even a passing acceptance of computers as a gaming medium, you may want to check this one out. Compass Games' latest game is Red Storm Over the Reich, and to our eyes it looks like a winner. This game covers the Soviet drive into East Prussia and onto Berlin in 1945. Yes, the end is a certainty, but it was no cake walk as the game proves. Veteran design Ted Racier created this game with two very nice maps & 456 counters, with high solitaire value. The game looks GOOD! The Soviets must drive decisively across the map, thru East Prussia and across two major river defenses, to reach Berlin on the western map edge, all in 14 turns. They are aided by Hitler's interference, hindered by German willingness to fight to the death, and there is much "chrome" depicting the often chaotic last days of the Reich. We give the game two thumbs up, and a $49 price. Read more on Compass's website. The ghost of Avalon Hill, aka Hasbro, intends to republish two of the all-time classics that have been out of print for some time. And Valley Games will reprint another AH classic shortly. 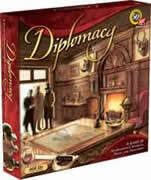 We should see Diplomacy 4th arrive in March, and Acquire 4th in June. Both will be in a pretty -- and a pretty big -- box, but are likely a graphical update of prior versions. And made in China, no doubt. ($23 ea at Fine Games.) A new version of the ever popular Titan should be out from Valley Games within a month or so ($50 here). We seem to be in a decade with more than its share of reprints. Granted that most are deserving: Streets of Stalingrad 3rd, Russian Campaign 4th & Bitter Woods 4th define L2D Group's entrance into the wargame market; Compass Games' Bitter End 2nd, plus those republished by Cool Stuff Unlimited are all classics in their own right, as are the several Avalon Hill titles reprinted by Hasbro (as above). But there is something going on when publishers prefer to reprint an older game rather than create new games. Pacific Rim, for example, is currently considering republishing Korsun Pocket if sufficient preorders are given. (You can preorder thru Fine Games, by the way; projected price $125 based on $160 list.) Its great if this game makes it back into print, especially in a streamlined way so that we are no longer counting artillery shells. Yet, does printing this game diminish PacRim's ability to produce other, more original works (including those for which it has accepted preorders)? Perhaps it very well might. See our online catalogs for New Game Releases in the Last 2 Months, and also Pending Game Releases in next 6 months, both in fast-loading text (TXT) format. As the economy sputters again into the slow end of the business cycle, we are assessing our business and personal future. Cause, frankly, we've watched our unit sales, our revenues and our profit decline since our heyday in 2000. We're looking for a way to halt the decline and even turn this around. You, as a treasured customer, can help us by guiding us where we need it most. When you think of Fine Games, how do you think of us? Are we your main source of games? If not, how could we earn more of your business? Are we your first choice when buying games? What would make us so? What games should we carry? What should our game prices be? Are there services we could offer but don't now? Is it time to buy an online shopping cart? These are the core issues that can help us help you into the future. Please, please, please, take a moment to provide your thoughtful comments via email about how we can improve the services and value we provide to you. (Please keep this separate from any orders or inquiries about games to avoid delaying a response.) My thanks in advance. Great news, especially for our international customers. Nearly all orders we ship now include both shipment confirmation via email and online order tracking. Shortly after your order ships to you, you will receive notice via email from our carrier; this includes info allowing you to track the status of your package online, and to know when it should arrive. We've long provided this service for order shipped domestically via United Parcel Service (UPS). Now, if your order is sent via priority or express mail thru our postal service, you will also receive emailed confirmation notice. This should delight our international customers, who must often wait 2 weeks or more for delivery. The exception is for all orders sent via First Class mail, both domestically and internationally. No confirmation or tracking service is available for this type of mail. Sorry. You can immediately tell whether a game we list in our catalogs is on-hand in our inventory or not. If it has a numeric part number, we have it available for immediate sale. If, instead, it has an alphabetic code (such as "specl order" or "1-3 Wks Turnaround") in the Part# column it, we do not currently have it on hand. We try to keep items that are listed as "stk" on hand, but may be out for a week or so should our last copy sell. Special order items are obtained per your order and never normally in our inventory. Second, you can also infer a lot from how we categorize the overall condition of each used game, as listed in the "General Condition" column of our catalogs. We consistently apply these categories so you have a pretty clear idea of the type and amount of wear a used game has received. These categories are unpunched; that is, not used. Game has never been in the possession of a consumer; unless flaws are noted, it is expected to be clean and "as published." An unused game which HAS been in the possession of a consumer. Unpunched, tho some counters may be loose. May have other signs of wear if noted. Other categories reflect use and varying degrees of wear & tear; all are by definition "punched.". A game that has been played (and therefore punched), but has received little or no wear. A game that has been well played, and shows signs of wear such as soiled rules margins, stains, and perhaps even missing components. Significant & increasing amounts of wear & tear and lost components. Pay close attention to the "specific condition" column for such games as that is where we describe all flaws in detail. Note that we at Fine Games do not use the term "near mint," a categorization of used books which quickly becomes an oxymoron when talking about games & game components. See Key to Codes web page for a full explanation of all codes we use. Every one means something! We've lost contact with more of our customers than we'd like over the years; over a thousand. So, we ask for your help in getting these customers back in touch with us. We've prepared a little list of our "lost customers" sorted by state and then zip code. If you are currently in contact with any of the people on this list, would you let us know how we can contact them? Also available in Acrobat PDF format. Pacific Rim Publishing recently published its own list of lost customers. They have somewhat more reason to have lost their customers: they ceased publication of both Grenadier and CounterAttack magazines back in 1986. Pacific Rim says (again) that they are fast at work on the next issue of both magazines, and their list contains 400 subscribers they've lost touch with after 22 years! If you ever subscribed to either magazine, be sure to check out their list of Lost Customers to make sure you & your gaming friends are not on the list. In just a glance, we identified & alerted two of our customers who are on that list. Use the CTRL-F Find feature in either list to look for key words such as the unique spelling of your name. We aim to publish the next issue of this newsletter in late sprint (~June). If you have any comments about what you liked or disliked in this issue, or suggestions for future topics, please email us with your thoughts. aka the "Help Us Pay Our Tax Bill Sale"
See our Ongoing Clearance for descriptions of these and additional games specially priced.